Are you dreaming of moving to Italy? Then, do it! Here’s another perspective to consider….. 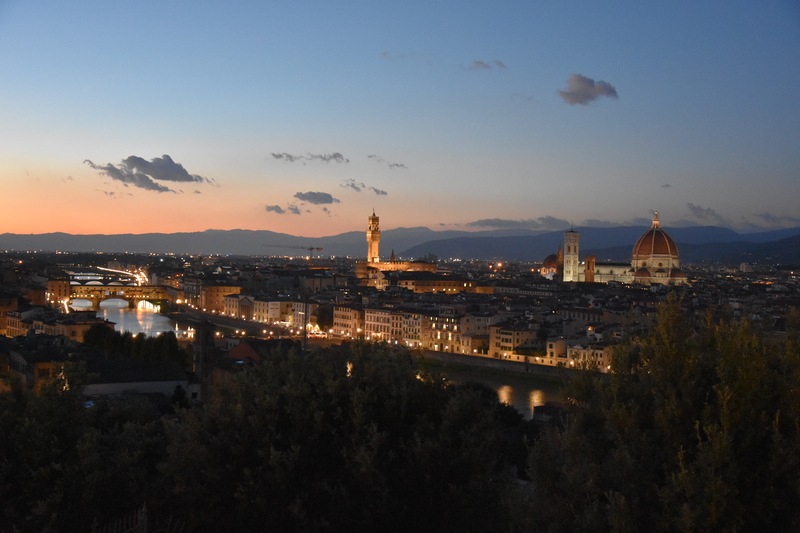 I have read countless numbers of blogs written by expats advising others NOT to move to Italy. If I had taken their advice before I moved here, I wouldn’t have been living a dream for the last 2 years. I’m not saying immediately sell your house, belongings and just book a one way ticket. I’m also not saying life will be completely easy here and there aren’t obstacles in Italy. What I am saying, is don’t live with regrets. Maybe you just want to spend a year or two or three in Italy. Maybe you are testing it out and are unsure how long you will stay. Maybe you have dreamed of retiring in Italy. Maybe you just want an adventure. In any event, it is YOUR dream and I’m a no regrets type of person and want to encourage others to experience the magic. Here’s my story and it is against my advice unless you have really explored Italy, obtained legal status to stay and either have a job or some money in the bank. Almost 2 years ago, I sold my house, belongings and booked that one way ticket. I had been traveling to Italy for 8 years, sometimes twice a year prior to my move. Florence was calling my name and I could no longer deny it. It seemed that I was just “living” for my next vacation in Italy. I had been a lawyer for 23 years in NY and was tired of the everyday “fighting” which I was then bringing home into my personal life. Florence was a place where I always had a smile on my face. Obviously, a vacation is quite different than everyday life. My first 6 months here was a combined vacation and getting myself set up with a permanent apartment. I wasn’t fluent in Italian, and I admit, I’m still not! So what?!!!! Florence is very English friendly so don’t let that be a deterrent. I chose to live in a very residential area right outside of the city centre so I’d be forced to speak more Italian. NO…………….. Expats who move to Italy range from 20 something to 60 something. Some expats spent a semester abroad and longed to come back while others are looking for a shift in life or to retire here. In my age group.. Ummm 50… there are not as many who make this life changing decision. YES…….. English is a language needed with the abundance of tourists for many businesses. GET your TEFL certificate to teach! I’ve read many blogs, again warning, the only work available is for teaching English, babysitting and waitressing. While the abundance of work is in these areas, it doesn’t mean that it can’t be rewarding or that you can’t find a niche in another area, such as social media for example. I’ve read in blogs that these jobs were mentioned with the implication that it was demeaning or just taking up time to make money. I currently teach English to children ages 7 and above as well as for adults and even doctors. I love the age range and it keeps me so creative and interested! I feel proud and am not ashamed as these blogs warned. YES…….I would recommend making both Italian and Expat friends. It will give you a fuller picture of the life in Italy. I have a great mixture of both. There is a large expat community where you can get a lot of advice and make friends. Initially, the expats are easy to bond with. However, I must point out a few things……. Some of these expat friends will also be very competitive and will not want to share and maybe pretend they know it all. It can be difficult to break into some circles because they are afraid of the competition. Some of these new called friends will be also “transient” friends. What is the transient friend? The transient friend is one who is having an adventure and not a permanent resident or citizen in Italy. They can be here usually from 1-4 years and then they are moving back to the US. It obviously takes time and energy to connect with a friend until you are able to share private things, so it has been disappointing when I have lost friends who have left Italy. It has definitely taught me about loss, taking chances, being in the moment and sharing. That answer is up to you. Send me a message and ask me any question and I will give an honest response to help you make a decision. Italy is a dream, that keeps returning for the rest of your life.